Are you looking for a new nose? Here's our growing list of the best Rhinoplasty Surgeons in California for your nasal procedure. If you wear glasses, don't forget to ask your surgeon if NoseComfort Eyeglass Support is right for you following your nasal procedure. For more information on NoseComfort click the image above. Click your preferred City to be taken to that section of the article. 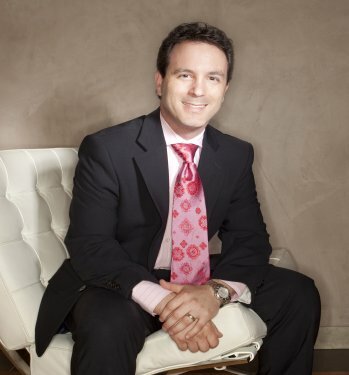 Dr. Paul Nassif is a knowledgeable, highly trained facial plastic and reconstructive surgeon whose pioneering techniques have gained acclaim worldwide by his patients, his peers, and the media. 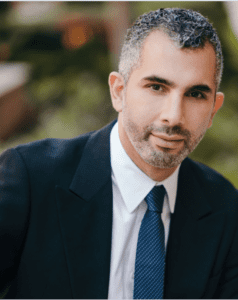 Specializing in revision and ethnic rhinoplasty, Dr. Nassif assists patients at Spalding Drive Cosmetic Surgery & Dermatology in Beverly Hills, California. Combining his skills as both an artist and a surgeon, Dr. Nassif shapes noses so that they will appear completely organic. His experience as an ethnic rhinoplasty specialist also assists him in creating natural noses for people of all races. Dr. Nassif is also a recognized revision rhinoplasty specialist, helping patients who have had nose surgery once, twice or even five times in the past achieve the cosmetic results they desire with improved function of the nose. Most recently, his work as a revision rhinoplasty surgeon has been featured on Botched!, which follows world-renowned surgeons Dr. Nassif and Dr. Terry Dubrow as they fix the effects of some of the most difficult and poorly done plastic surgeries. Endoscopic surgery for the aging face is another one of Dr. Nassif’s specialties. Dr. Nassif is dedicated to performing these surgeries with as little scarring as possible, using minimally invasive procedures to conceal incisions. Dr. Nassif is the inventor of the “Anti-Gravity Facelift,” a technique that leaves no visible scarring behind. This procedure helps the patient to heal as quickly as possible with the use of platelet gel derived from the patient’s own blood cells. 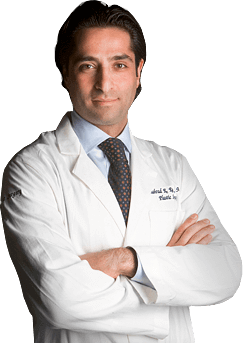 Dr. Rady Rahban is a renowned Board Certified Plastic Surgeon in Beverly Hills, CA. His work has been praised on "Best Of LA" and in "Newsweek", and he has been featured on hit shows on E! and TLC. His straightforward personality and warm demeanor allow him to work with patients of all ages. Dr. Rahban's dedication to artistic perfection combined with his diligent attention to detail is evident by his natural surgical results and thousands of satisfied patients. He is well known for his extraordinary work with Rhinoplasty, Breast Augmentation and Mommy Makeovers to name a few. His reputation amongst patients and colleagues has quickly made him the "go-to-guy" for revisional and corrective surgeries. Aside from being a talented plastic surgeon, Dr. Rahban is also an avid photographer and painter who has an acute talent for capturing the complexity of natures beauty, which transcends into his surgical procedures. His commitment to helping others is evident in his reconstructive surgeries with trauma and cancer patients. Despite having a thriving cosmetic practice in Beverly Hill’s, Dr. Rahban finds time to dedicate his talents to helping those less fortunate here and abroad. As he is fluent in Spanish, he travels to Latin America annually with charitable organizations like Operation Smile, performing much needed cleft lip and palate surgeries. Dr. Kevin Brenner is not only a board-certified plastic and reconstructive surgeon, he is also a board-certified general surgeon, giving him qualifications to deliver some of the most complex reconstructive procedures. His specialty lies in the breasts and abdomen, using his expertise to restore a youthful, shapely appearance where it has been lost to age or other factors. Dr. Brenner has also done advanced training in rhinoplasty, and is one of a select group of plastic surgeons specifically trained to utilize advanced techniques such as rib grafting for challenging revision cases. Dr. Richard Zoumalan is a leading facial plastic surgeon in Beverly Hills, CA. He is known for his natural results in Rhinoplasty and facial rejuvenation surgery. His clientele is referral-based and receives the highest possible level of care and attention. Dr. Zoumalan combines his unique surgical approach with his artistic background as a painter to tastefully enhance a face in a way that looks, feels, and functions naturally. Dr. Zoumalan has studied all over the country with legendary surgeons in New York, Chicago, Seattle, and Los Angeles. He is known for his extensive innovative research which has furthered the field of facial plastic and reconstructive surgery. He continues to be a leader in plastic surgery by speaking at medical conferences as well as publishing new research articles and book chapters. In addition to using the latest medical techniques, he uses natural holistic healing methods which decrease your down-time and help make your experience pleasurable. 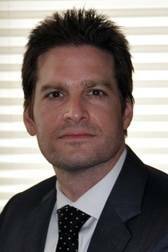 His highly-specialized facial surgical training includes an undergraduate degree from UCLA, medical school at Northwestern University, General Surgery Internship at New York University, and a Head and Neck Surgery Residency at New York University. He then completed a highly-respected fellowship in Facial Plastic and Reconstructive Surgery at the University of Washington sponsored by the American Academy of Facial Plastic and Reconstructive Surgery. This is why Dr. Richard Zoumalan is the leading plastic surgeon in Beverly Hills and Los Angeles. Los Angeles & Beverly Hills plastic surgeon Dr. Jason Litner is a highly skilled facial plastic and reconstructive surgeon originally from Toronto, Canada. He attended medical school at the prestigious University of Toronto Faculty of Medicine, Canada’s largest and arguably most distinguished medical program. Upon graduation, Dr. Litner was awarded the gold medal for achieving the highest standing in his graduating class. He went on to complete residency training at the acclaimed New York Eye and Ear Infirmary, the oldest specialty hospital in North America, where he was appointed Administrative Chief Resident. Subsequently, he completed a fellowship in Rhinoplasty and Cosmetic Facial Plastic Surgery with renowned surgeon Dr. Peter Adamson, past President of the American Academy of Facial Plastic and Reconstructive Surgery. This highly coveted fellowship is one of few worldwide that provides extensive training in the area of complex revisional surgery of the face. Dr. Litner is the recipient of numerous awards of recognition, most recently including the Norman E. Stoller Surgery Award from Beth Israel Medical Center, the J. Swift Hanley Teaching Award and the Turner Award for Excellence from the New York Eye and Ear Infirmary, and the Kris Conrad Merit Award in Facial Plastic Surgery from the University of Toronto. Dr. Litner was most recently on full-time academic staff at the University of Toronto, St. Michael’s Hospital site, a major downtown Toronto trauma center. He is now in full-time private practice at PROFILES Beverly Hills. He is board certified in Otolaryngology by the American Academy of Otolaryngology-Head and Neck Surgery and the Royal College of Physicians and Surgeons of Canada. Dr. Litner is an international patent holder and author of over twenty scholarly papers and book chapters relating to facial plastic surgery, and has presented his original work internationally. 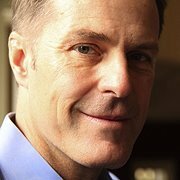 He is currently co-authoring a book on Otoplasty Technique. Dr. Payam Jarrah-Nejad (affectionately known by both staff and patients as “Dr. J”) is a double board certified Beverly Hills Plastic Surgeon, with certifications from both the American Board of Plastic Surgery and the American Board of Surgery. He is an active member of the American Society of Plastic Surgeons and a Fellow of The American College of Surgeons. Dr. J began his surgical career in his NYU internship, during which time he also worked at affiliated hospitals around the New York area. His training was completed in New Jersey where he was Chief Resident at Morristown Memorial Hospital. Dr. Jarrah-Nejad, now certified by both the American Board of Surgery and the American Board of Plastic Surgery, received a fellowship in hand surgery at Beth Israel Medical Center in New York City under the guidance of Dr. Charles P. Melone, Jr. Working so closely with Dr. Melone was a major influence on the young doctor's work. Soon, however, he would find his true calling when he became a trainee at Wayne State University, Detroit Medical Center in Michigan under the tutelage of many well-known plastic surgeons. Even as a Beverly Hills board certified plastic surgeon all these years later, Dr. J still employs many of the same techniques he learned during this period as he frequently operations on the face and body. He is affectionately regarded by his staff and many patients, who have frequently contributed testimonials to this web site. He has published a wide range of papers in many prestigious scientific and medical journals. As a Beverly Hills plastic surgeon, Dr. J has presented his research, and insights gleaned from years of hands-on experience, to local, regional, and national symposia. Dr. Jason Diamond of the Diamond Face Institute is a top facial plastic surgeon in his field and has helped thousands of patients achieve a more youthful, natural-looking appearance with the wide range of facial surgical procedures he provides. Dr. Diamond, a native of New Jersey, completed his undergraduate degree from the University of Rochester in New York and then went on to complete his medical degree from the University of Rochester School of Medicine. After completing his five-year residency, Dr. Diamond spent two years seeking out the leading facial plastic surgeons from around the world, and studying and operating with them to learn their secrets and perfect his art in plastic surgery. This self-motivated training enabled Dr. Diamond to master an extensive variety of facial enhancement techniques. Dr. Diamond’s hard work and carefully crafted surgical skills are backed by several prestigious accolades, including being double board certified by The American Board of Facial Plastic and Reconstructive Surgery and The American Board of Otolaryngology. In addition, Dr. Diamond received additional training and is a Fellow of The American College of Surgeons. 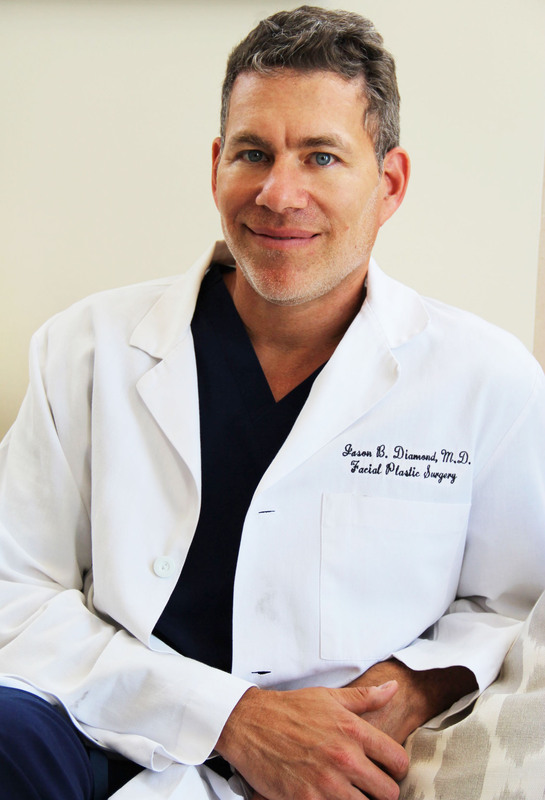 Dr. Diamond is well respected by his peers in the plastic surgery arena and he has been recognized as being one of the top facial plastic surgeons in his field by multiple media sources. He has appeared on the hit TV series Dr. 90210 (E! Entertainment), as well as Extra, Entertainment Tonight, The Early Show (CBS), Discovery Health, and MTV. In addition, Dr. Diamond has been featured in many print publications, including Harper’s BAZAAR™, ELLE, Vogue, Life & Style, and People magazines. Always striving for the best cosmetic results, Dr. Behrooz A. Torkian's approach to cosmetic surgery is all-embracing. In other words, when performing his signature Beverly Hills rhinoplasty, he doesn’t simply create a beautiful nose—he creates a beautiful nose that fits perfectly with the rest of the patient’s face, and has improved airway function. This three-pronged approach to rhinoplasty is just one example of how Dr. Torkian considers every aspect of each procedure delivered. Dr. Torkian graduated with distinction from the University of California, Los Angeles (UCLA), having earned a Bachelor of Science degree in Microbiology and Molecular Genetics. He went on to earn his Medical Doctorate at the Vanderbilt University School of Medicine. From there, he underwent specialty training in head and neck surgery at the University of California, Irvine. During this time, he earned several awards in recognition of his research during residency. To further develop his skills as a specialist, Dr. Torkian continued with a fellowship in Facial Plastic and Reconstructive Surgery at the University of California, Irvine among a small group of hand-selected doctors to participate in the prestigious Fellowship in Facial Plastic and Reconstructive Surgery conducted by the American Academy of Facial Plastic and Reconstructive Surgery. It was during this fellowship that he developed a love for rhinoplasty, which would later become a keystone procedure at his practice. 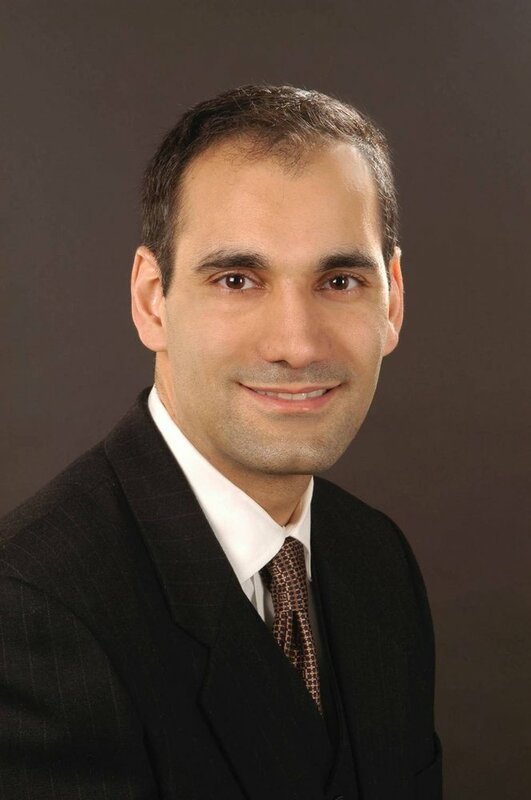 Dr. Shahriar Mabourakh's goal is to fully understand the results you wish to obtain and to communicate to you what can be achieved through the latest plastic surgery techniques and procedures being performed today. Investing time and effort in building a strong, trusting doctor-patient relationship, one that allows the patient to ask the right questions to make informed, careful decisions, is the best way to ensure that you are happy with your results. At Dr. Mabourakh’s practice, they recognize that plastic surgery is an important personal decision and event in your life. The entire staff at Dr. Mabourakh’s office is dedicated to the highest standard of care and results, while maintaining your privacy and confidentiality and treating you with the utmost professionalism and respect. A pleasant operating room environment and our patients’ safety are our utmost concerns. Therefore, surgeries are performed in a fully accredited private surgical suite using only board-certified anesthesiologists and nurses. However, some procedures may be performed at a local hospital or surgery center when necessary. Experienced plastic surgeon, Dr. Charles Perry is dedicated to helping patients achieve their aesthetic goals. He strives to provide an informative resource on popular surgical and non-surgical cosmetic procedures, including breast augmentation, liposuction, facelift, and rhinoplasty techniques. Certified by the American Board of Plastic Surgery and a Fellow of the American College of Surgeons, Dr. Perry is extensively trained in the latest techniques, treatments, and products available. He seeks to offer a safe, compassionate environment for every individual. 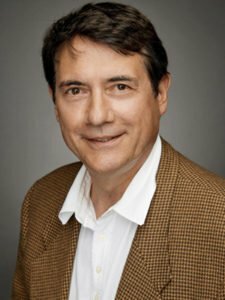 Dr. Perry began his career by earning his undergraduate degree from the University of Puget Sound and his medical degree from the University of Washington Medical School. From there, he completed his general surgery internship at Maricopa County Medical Center, his general surgery residency at the University of Arizona, and his plastic surgery residency at the University of Massachusetts. In addition to active memberships with numerous prestigious medical organizations, Dr. Perry has also earned several professional accolades and donated his skills to medical outreach programs around the world. A native of Sacramento, Dr. Donald W. Hause continues the tradition of quality plastic and reconstructive surgery begun by his father over forty-five years ago. After graduating from the University of Southern California, he attained his Medical Degree from the Baylor College of Medicine in Houston. Dr. Hause actively contributes to clinical research in aesthetic surgery and has guest lectured across the country. He is also a contributor to the Plastic Surgery Education Foundation. Dr. Hause is past-president of the Sacramento Society of Plastic Surgeons. His professional affiliations include membership in the American Society of Plastic Surgeons, the American Society of Aesthetic Plastic Surgeons, California Society of Plastic Surgeons, the American College of Surgeons, the California Medical Association, and the Sierra Sacramento Valley Medical Society. Dr. Hause also contributes to his community with his membership in the Sacramento Metropolitan Chamber of Commerce and is an active Mason and Shriner. In his leisure time, Dr. Hause enjoys spending time and traveling with his wife, Natasha, and children. He is active in Scouting, supports Jesuit High School Rugby and enjoys being an amateur chef. Sacramento cosmetic plastic surgeon Dr. Scott Green is board certified by the American Board of Plastic Surgery. He is also a Fellow of the American College of Surgeons. Long before he began seeing his cosmetic surgery patients, Dr. Green received his Medical Doctorate from Texas A&M School of Medicine. He then attended a general surgery residency at the University of Vermont Medical Center, followed by specialized plastic surgery training at the world-renowned Loma Linda University. During his years at both the University of Vermont and Loma Linda University Medical Centers, Dr. Green received many awards, including the distinguished Resident of the Year award and the Bernard Barney Excellence in Plastic Surgery award. As one of the leading plastic surgeons in Sacramento, Dr. Scott Green is one of the country’s foremost innovators in the area of cosmetic surgery following massive weight loss. He has introduced new plastic surgery techniques and is proficient in the latest technology and surgical procedures. In addition to serving Sacramento cosmetic plastic surgery patients, Dr. Green has been a part of humanitarian missions over the years, providing reconstructive surgical services to the underprivileged in Baja, Mexico and Deschapelles, Haiti. In his free time he enjoys fishing, skiing, Arabian horses, and mountain climbing. He is married and a father of 6: Sage, Forrest, Hunter, Winter, Loden, and Jadean. 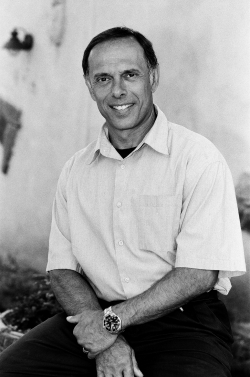 Since 1987 Dr. Charles T. Longo has served the greater Sacramento area, including El Dorado Hills, Folsom, Granite Bay, and Roseville. Dr. Longo believes in a conservative approach to surgery and focuses on the individuals needs when considering ones cosmetic options. Dr. Longo can perform a variety of procedures to help achieve desired results. 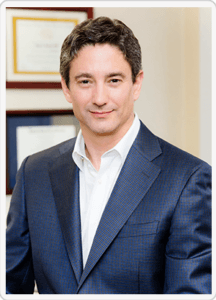 Dr. Longo has been Board Certified in Plastic and Reconstructive Surgery since 1989, and also a member of The Aesthetic Society as well as a Fellow of the American College of Surgeons. Dr. Longo believes that through patient education one can make a comfortable and knowledgeable decision when choosing cosmetic procedures. During a consultation, treatments and procedures are explained in detail. Being of American Italian heritage, Dr. Longo treats all of his patients as external family members. Patients are always welcome to return for additional questions to help make decisions about their personalized cosmetic options. Dr. Longo's staff will also gladly help answer all of your questions. After Medical school, Dr. Richard P. Clark felt a commitment to serve as a medical missionary. He became certified by the American Board of Family Practice and worked among the Navajo people in New Mexico and Arizona. Returning to academia, Dr. Clark added five years of specialized surgical training and achieved his second Board Certification in Otolaryngology, Head and Neck Surgery. After which he completed two years of Residency training at the University of Utah which is well recognized for excellence in Plastic Surgery. He subsequently received the highly valued Certification from the American Board of Plastic Surgery. The American Board of Plastic Surgery is one of the most demanding of specialty boards which carefully scrutinizes plastic surgeons for two years after residency followed by extensive oral and written examinations. The American Board of Plastic Surgery is an eighty year old institution which is the only board of plastic or cosmetic surgery that is recognized by the AMA (American Medical Association) and the American Board of Medical Specialties. Dr. Clark is a member of the American Society of Plastic and Reconstructive Surgeons and the California Society of Plastic Surgeons. His works have been published in distinguished medical journals. He lectures on Plastic Surgery at the University of California, Davis and served as Chairman of Plastic Surgery at Sutter General Hospital and Mercy General Hospitals. Dr. Clark served as president of the Sacramento Society of Plastic Surgeons in 1994. He is committed to updating and expanding his expertise and travels extensively to do so. 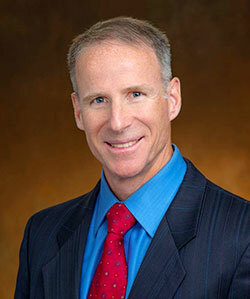 A San Diego native, Dr. John M. Hilinski was pleased to return here and establish his facial plastic surgery practice. Dr. Hilinski attended Harvard Medical School in Boston, Massachusetts. After graduation, he completed a General Surgery internship followed by a Head and Neck Surgery residency at the University of California, San Diego (UCSD) Medical Center. Throughout his residency, Dr. Hilinski focused his efforts exclusively on surgery of the face and neck. Such specialty training and experience provided him an unparalleled foundation to become a facial plastic surgeon. Dr. Hilinski was chosen for a prestigious Facial Plastic & Reconstructive Surgery fellowship sponsored by the American Academy of Facial Plastic and Reconstructive Surgery. He completed his fellowship in Chicago, Illinois under the direction of internationally renowned facial plastic surgeon Dean M. Toriumi, M.D. In conjunction with his training, Dr. Hilinski served as a Clinical Instructor in the Division of Facial Plastic and Reconstructive Surgery at the University of Illinois, Chicago College of Medicine. During his fellowship, Dr. Hilinski learned the latest advancements in facial plastic and reconstructive surgery, encompassing all aspects of cosmetic facial enhancement. In particular, he received advanced training in rhinoplasty and revision rhinoplasty technique. Dr. Hilinski is “double board certified” in Facial Plastic and Reconstructive Surgery as well as Head and Neck Surgery. This places him in unique company among only a few plastic surgeons in the region that have dedicated expertise and qualifications to perform facial cosmetic enhancement. In addition, he is a member of the American Academy of Facial Plastic and Reconstructive Surgery as well as the American Academy of Otolaryngology-Head and Neck Surgery. 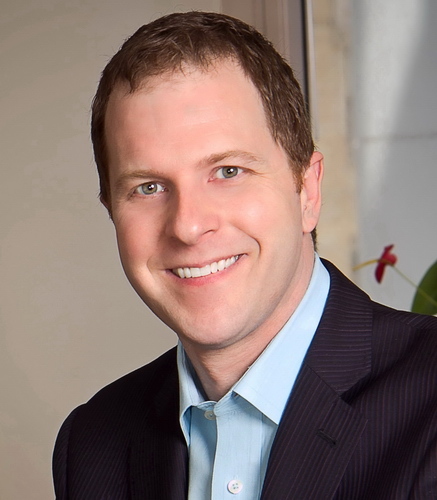 Dr. Christopher Kolstad is considered one of San Diego’s best trained Facial Plastic Surgeons. He has performed or assisted over 1500 facial plastic procedures and has studied extensively with two world-renowned leaders and former presidents of the Academy of Facial Plastic and Reconstructive Surgery. He has received many awards for research and clinical teaching, and has published multiple articles and textbook chapters on facial plastic surgery. With medical licenses in both New York and California, his practice is fully devoted to facial plastic surgery. Dr. Kolstad believes he can maximize his results by focusing all of his expertise on one area of the body; the face and neck. He is known for his analytical approach and natural appearing results. His expertise in state-of-the-art endoscopic procedures allows him to minimize incisions and hide them within the scalp. He prides himself on staying one step ahead of the game and will bring the newest techniques and procedures to his practice in La Jolla. Dr. Kolstad is a fellowship-trained facial plastic surgeon and a member of American Academy of Facial Plastic and Reconstructive Surgery. He is board-certified by the American Board of Otolaryngology, one of the oldest medical specialties in the United States. Otolaryngologists are physicians uniquely trained in the surgical and medical treatment of patients with disorders and diseases of the head and neck. Dr. Amir M. Karam is a facial plastic and reconstructive surgeon in San Diego, California with a distinguished academic and surgical record. Known for his honesty, compassion and warm demeanor as his naturally enhancing results, Dr. Karam is respected by his peers for his professional integrity, innovative contributions, artistry and excellent technique. Dr. Karam's specialized surgical and non-surgical skills have earned him many awards, including being voted "Best Cosmetic Surgeon" for the last four years running (2010-2013) as well as featured articles in San Diego Magazine: Top Doctors Issue. 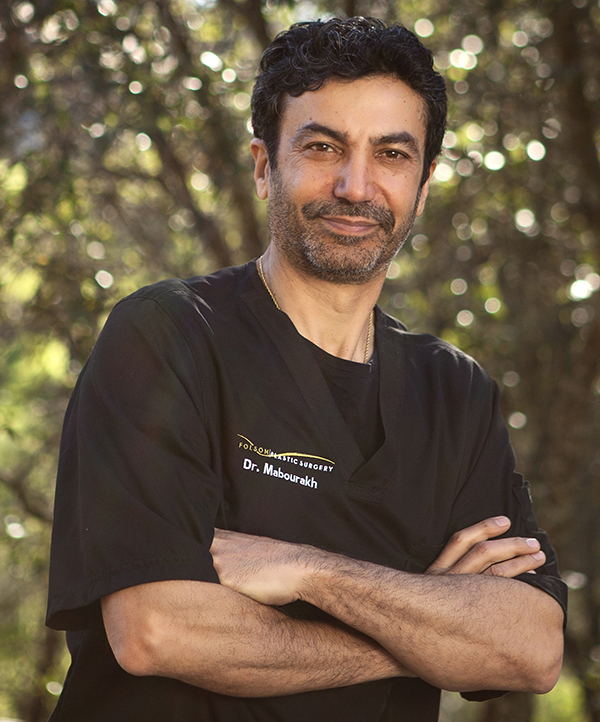 As a national leader for facial rejuvenation, Dr. Karam is involved with a number of medical affiliations, including being a national trainer and educator for Allergan as well as a staff surgeon and teaching faculty UCSD/ San Diego Veterans Affair medical center, teaching medical students and surgical residents in the operating room. Dr. Sirius K. Yoo is a board-certified facial plastic surgeon and a board-certified head and neck surgeon. He is one of only a select number of surgeons in the nation to complete a prestigious fellowship in facial plastic surgery at Stanford University. 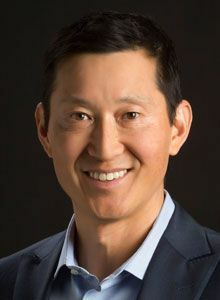 An active member of the American Academy of Facial Plastic and Reconstructive Surgery, Dr. Yoo has been a presenter and instructor at national meetings, teaching other surgeons advanced and new techniques. He has also been published in JAMA Facial Plastic Surgery. Known for his natural-looking results, Dr. Yoo specializes in cosmetic surgery of the face and neck — such as rhinoplasty, facelift, brow lift and blepharoplasty — and combines surgery with laser treatments, chemical peels, Botox, fillers and skin care for the best possible results. Trained in advanced techniques, Dr. Yoo is often sought out for the most challenging cases, including revision rhinoplasty with rib harvest and facial reconstruction due to trauma. Dr. Yoo operates out of his own surgery center at SKY Facial Plastic Surgery, located in 4S Ranch between Rancho Santa Fe and Rancho Bernardo. The center was recently awarded a 3-year accreditation by the California Medical Association’s Institute for Medical Quality, recognizing it as a top-quality surgical facility. San Diego facial plastic surgeon Dr. Roy A. David is a member of the American Academy of Facial Plastic and Reconstructive Surgery, and specializes in plastic surgery exclusively of the Face, Nose, Eyes, Neck, and Scalp. He has been in practice in San Diego for over ten years, helping thousands of patients to achieve their goals. Dr. David is double-board certified by the American Board of Facial Plastic and Reconstructive Surgery, and the American Board of Otolaryngology-Head and Neck Surgery. He is a fellow of the American College of Surgeons, the American Academy of Facial Plastic Surgery, and the American Academy of Otolaryngology-Head and Neck Surgery. Dr. David is one of a select group of plastic surgeons to complete a prestigious Fellowship in Facial Plastic Surgery under the auspices of the AAFPRS. His practice philosophy is based first and foremost upon careful attention to the patient’s specific desires for improvement. This is facilitated through an in-depth consultation, as well as the use of cutting-edge computer imaging technology. This exciting innovation allows the patient to become more involved in the surgical planning process by seeing what they may look like after surgery. Dr. Mark M. Mofid is a board-certified San Diego and La Jolla area plastic surgeon, certified by both the American Board of Plastic Surgery and the American Board of Facial Plastic and Reconstructive Surgery. He is committed to providing the highest-quality, most state-of-the-art aesthetic and reconstructive procedures to his valued patients. He is highly regarded by both his patients and peers for the technical and artistic skill in aesthetic surgery which allow him to achieve beautiful, natural-looking results for patients seeking cosmetic and reconstructive plastic surgery. Dr. Mofid and his staff offer compassionate, conscientious, and personalized care from the first introduction through the treatment recovery period. He goes to great lengths to make the plastic surgery experience as pleasant as possible for his patients. During consultations at his San Diego and Chula Vista offices, plastic surgeon Dr. Mofid performs a careful evaluation and seeks to understand the concerns and goals that are unique to each individual prior to recommending a treatment plan. Dr. Mofid is a diplomate of the American Board of Plastic Surgery and a fellow of the American College of Surgeons. 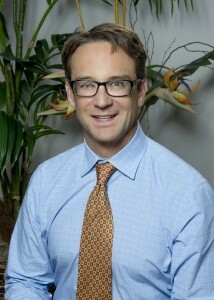 Besides working in San Diego and La Jolla as a plastic surgeon, he is dedicated to providing patients with reconstructive surgery, including facial reconstruction following skin cancer removal, post-trauma facial injury repair, post-mastectomy breast reconstruction, and microsurgery. Dr. Karen M. Horton is Internationally Board Certified in Plastic Surgery by both the American Board of Plastic Surgery and the Royal College of Surgeons of Canada, specializing in cosmetic and reconstructive surgery for women. Based in San Francisco, Dr. Horton’s private practice focuses on providing meticulous attention to detail, individualized and compassionate care, and exceptional surgical results in a warm and welcoming environment. Trained in the United States and Canada, Dr. Horton completed a Bachelor of Science with Honors (B.Sc.H.) and Master of Science (M.Sc.) degree in Kingston, Ontario before embarking on her medical career. After graduating Medical School (M.D.) at the University of Toronto, Dr. Horton trained in Plastic Surgery for five years, becoming a Fellow of the Royal College of Physicians and Surgeons of Canada (F.R.C.S.C.). She moved to the Bay Area to complete her Fellowship in Reconstructive Microsurgery in San Francisco. Dr. Horton was most recently designated a Fellow of the American College of Surgeons (F.A.C.S.). An invited guest speaker at meetings throughout the United States, Dr. Horton educates, empowers and informs others about Plastic Surgery. She has published review book chapters on breast surgery, presented clinical papers at national and international scientific meetings, and has won research awards. Featured on television shows, local newscasts and podcasts, Dr. Horton discusses the latest techniques in Plastic Surgery. Dr. Michael R. Macdonald is a skilled facial plastic surgeon with significant experience in the most advanced cosmetic procedures, including facelift and neck lift surgery, brow lift surgery, blepharoplasty (eyelid surgery), rhinoplasty, BOTOX® injections, microneedling, liposuction, and chemical peels to help women and men look and feel their best at every age. At the Aesthetic Surgery Center in San Francisco, California, Dr. Macdonald uses state-of-the-art techniques and technology to achieve customized results focused on each patient's unique goals and needs. 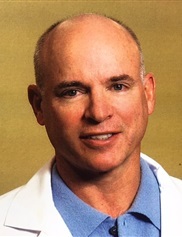 After earning his medical degree at Queen's University, Dr. Macdonald completed an internship at New York General Hospital followed by residencies at Dartmouth-Hitchcock Medical Center and University of Toronto and a fellowship at the American Academy of Facial Plastic and Reconstructive Surgery (AAFPRS). As a board-certified plastic surgeon, Dr. Macdonald is dedicated to providing patient-centered care that draws from both his surgical and artistic skills to achieve optimal results focused on each patient's facial anatomy, needs and treatment objectives. Dr. Macdonald and the Aesthetic Surgery Center welcome new patients from throughout the San Francisco region. Dr. Macdonald speaks both English and French. Dr. David W. Kim is a double-board certified facial plastic surgeon, by the American Board of Facial Plastic and Reconstructive Surgery and by the American Board of Otolaryngology – Head and Neck Surgery. He is also a Fellow of the American College of Surgeons (FACS), the most respected association of surgeons in the world. Dr. Kim specializes in cosmetic and reconstructive surgery of the face, head, and neck, with his office in the beautiful North Embarcadero area of San Francisco. His services range from major facial plastic surgery operations and laser procedures leading to dramatic improvements in appearance to non-surgical, rejuvenating office procedures with little to no down time. He has produced over 50 papers, articles and chapters in the medical literature, and taught at over 50 conferences throughout the world. He has been course director for some of the largest facial plastic surgery meetings in the world. In addition, Dr. Kim has an extensive research background and is currently conducting several studies that aim to objectively test current methods used in facial plastic surgery and to find objective, patient-based outcome measures for plastic and reconstructive procedures. Dr. Usha Rajagopal is a Board Certified Plastic Surgeon and the Medical Director of the San Francisco Plastic Surgery and Laser Center. For over 20 years, Dr. Rajagopal has utilized her unique perspective of female cosmetic surgery to educate and empower women. She specializes in cosmetic surgery of the face, breast and body, and her office is a premier center for cosmetic dermatology, medical skin care, and laser treatments. Her beautiful Union Square office is located in the heart of the city. Dr. Rajagopal, along with her highly trained staff, use the latest in technology to achieve the best results for her clients. The Vectra 3D Imaging machine can create simulations for nose and breast augmentations/reductions, in order to help you visualize your before and after results. CoolSculpting and SmartLipo are used for fat reduction, while VBeam and Photofacial lasers are used for skin rejuvenation procedures. Dr. Michael Kulick conducts a preliminary consultation to assess an individual’s need and motivation for surgery. Numerous physical conditions can be significantly improved by cosmetic surgery. Even a relatively minor procedure can ease the anxiety associated with a physical condition. Once the patient and Dr. Kulick have a clear understanding of the desired change, the procedure can then be planned. Through cosmetic surgery, Dr. Kulick has helped many patients overcome their physical concerns from birth defects, deformities caused by injury, problems attributed to genetic structure, and the effects of aging. In such cases, cosmetic surgery provided a heightened level of self-esteem and an enhanced quality of life. San Francisco plastic surgeon Dr. Scott W. Mosser began his career in medicine as a Fulbright Scholar to Ecuador, where he spent a year investigating the Ecuadorian healthcare system. He is a graduate of Baylor College of Medicine (Houston, TX) and Case Western Reserve University (Cleveland, OH), where he completed his internship and six years of comprehensive general and plastic surgery training. This was followed with a year-long fellowship dedicated to San Francisco cosmetic surgery where he perfected his techniques as a facial and whole body cosmetic surgeon. Of course, Dr. Mosser is a Board-Certified plastic surgeon as well. Dr. Mosser’s office is located in the historic 450 Sutter building in beautiful Union Square in San Francisco. Procedures are done in the office and at a number of institutions, including the Vista Surgery Center, San Francisco Surgery Center, California Pacific Medical Center, Saint Francis Memorial Hospital, and Saint Mary’s Hospital. Dr. Mosser has dedicated himself to his patients and strives to remain at the forefront of the changes and new technologies of plastic and cosmetic surgery. Follow NoseComfort and Spalding Drive Medical Supply on your favorite social networks, we provide updates on Medical and Cosmetic News and Breaking Announcements in Public Health. We also sprinkle in some Promos and Discounts for our products as well. "NoseComfort has allowed me to wear my eyeglasses following my Rhinoplasty." NoseComfort has 4.6 out of 5 Stars - Based on 11 Reviews from around the web. © 2017 Spalding Drive Medical Supply, LLC. All Rights Reserved.